Tank: Changing Minds & Saving Lives! Tank and I are on a mission to Change Minds and Save Lives! I volunteer with a wonderful organization in the Milwaukee, WI area called the Brew City Bully Club. 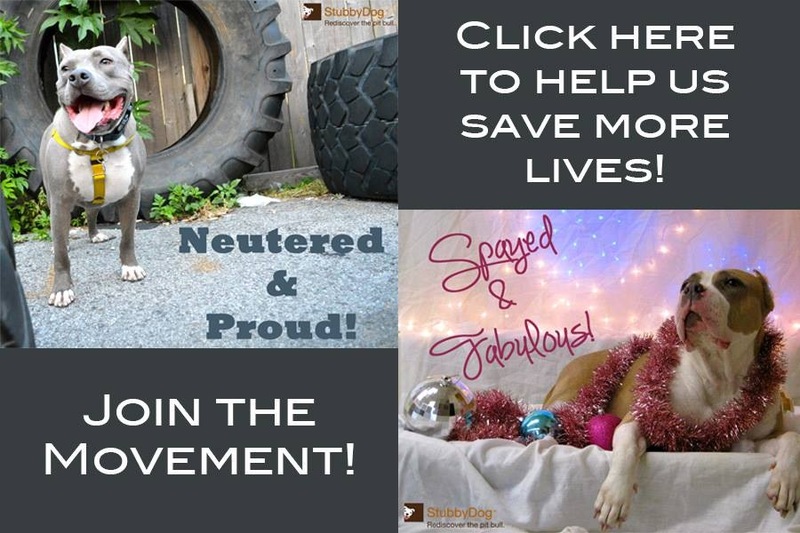 Our volunteers work tirelessly advocating for pit bull type dogs, educating the public, providing owner support, spaying/neutering, and rescuing. The Brew City Bully Club attends many outreach events each year and Tank and I have been along for the journey! 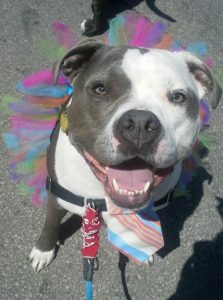 We want to show people that pit bull type dogs are individuals, just like any other dog. The best way to change a mind is to have someone meet a pit bull for themselves – often, it’s not the volunteers that do the talking – it is the dogs! Tank greets everyone the same way, with an open mind and open heart, without judgment or prejudice. He always has his big bully smile on and is ready to change people’s perceptions about pit bull type dogs. 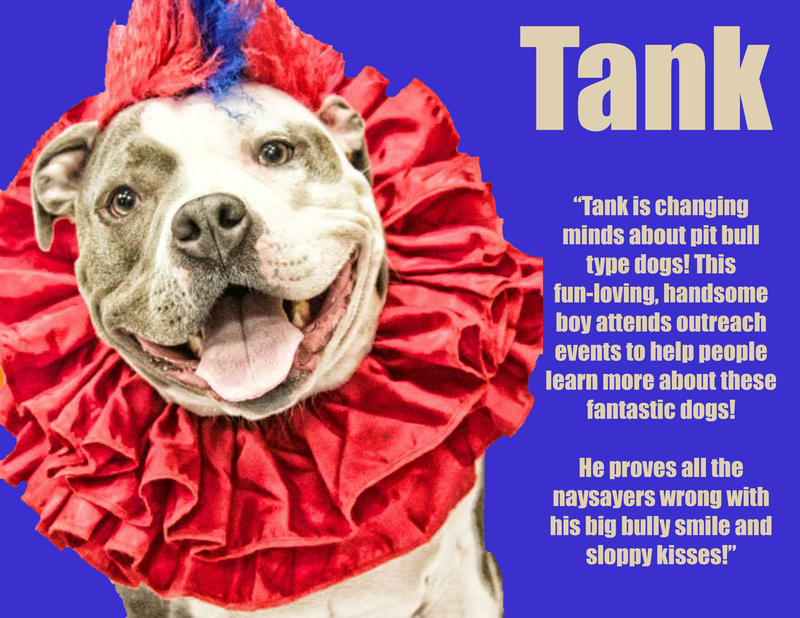 Tank has met hundreds of people and there is no doubt he has changed some minds along the way! I could not be prouder of my big, goofy boy!